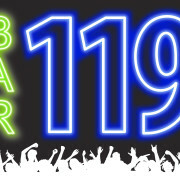 Easiest Way to LEARN, Most Fun Way to IMPROVE! 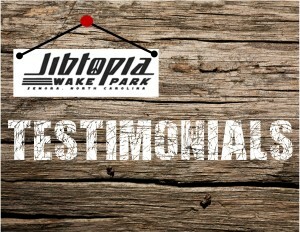 Jibtopia Wake Park, located in Semora, North Carolina is an award winning and internationally recognized wakeboard park for wakeboarders of all experience levels. 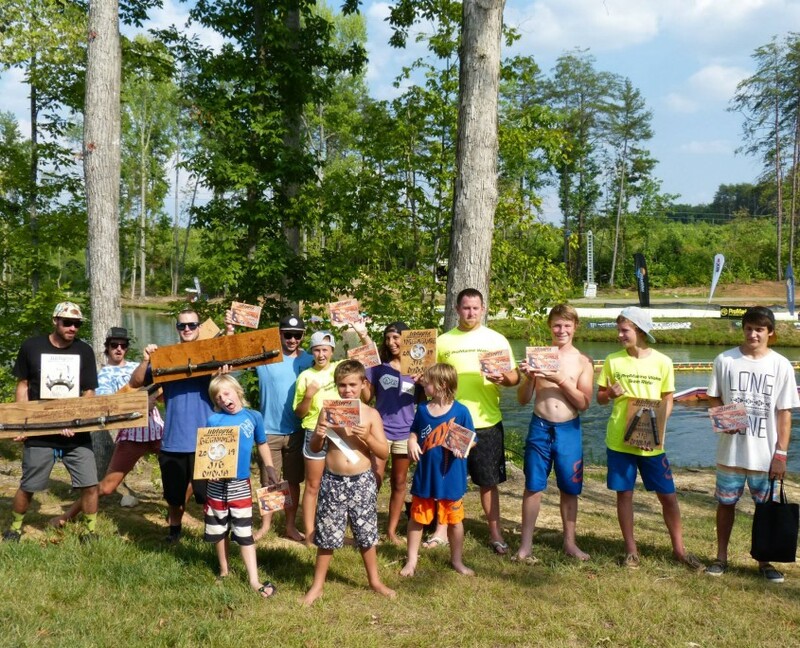 Jibtopia is the easiest place to learn for your first time, and the most fun place to improve. 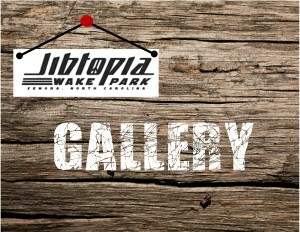 Jibtopia Wake Park is not only a great place for wakeboarding for all skill levels, we have many additional outdoor activities including guided trail rides for our horses as a part of Jibtopia Stables, beach volleyball, a sand beach, swimming, 10 miles of dirt bike and ATV trails, cabins for rent, tent and RV camping with electric hook-ups, on-site Winnebago rentals for overnight camping, exciting special events, wakeboarding summer clinics for kids, an onsite bar and grill, and a club with live music, DJ, awesome sound system and dance floor right next door, Bar 119 and we’re a great destination for group outings. 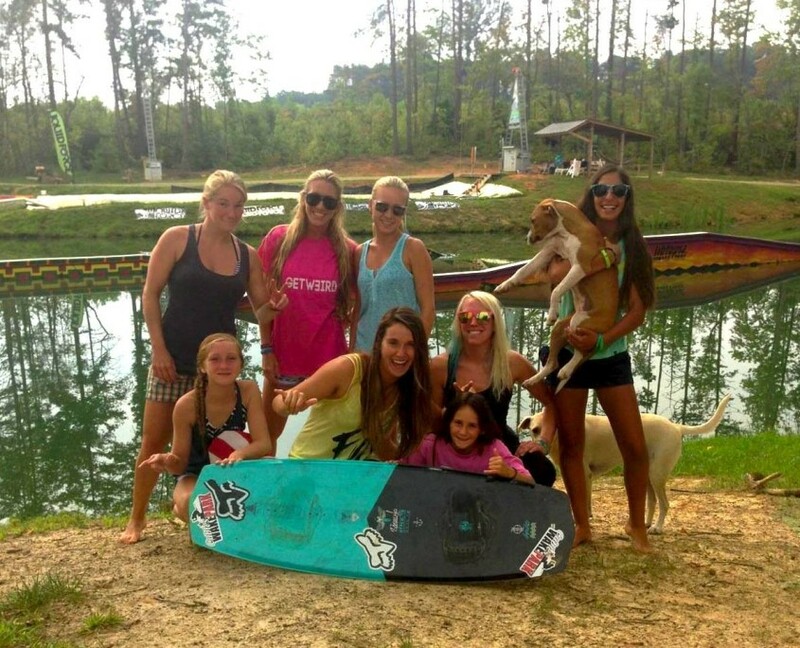 JIBTOPIA IS PERFECT FOR BEGINNERS! 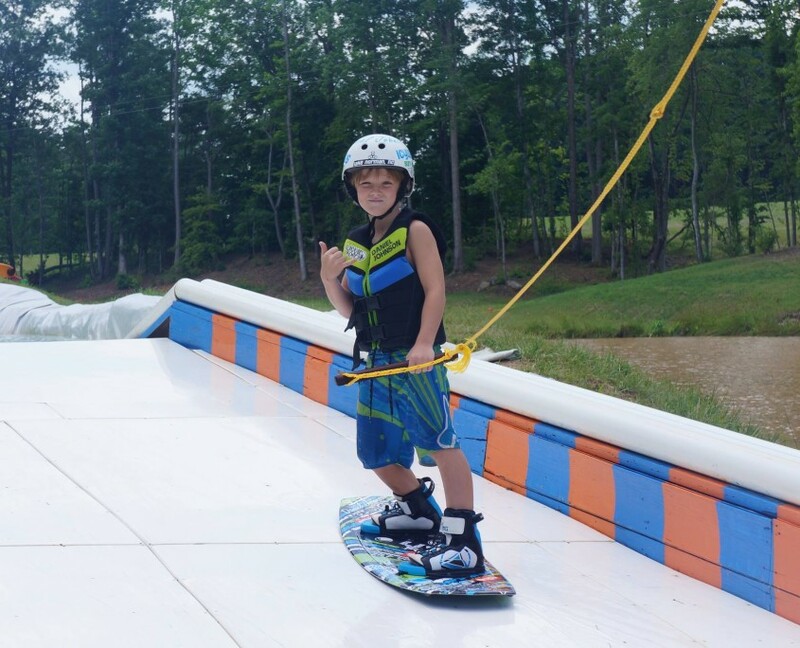 Our beginner cable is by far the easiest way to learn to get up on a wakeboard. 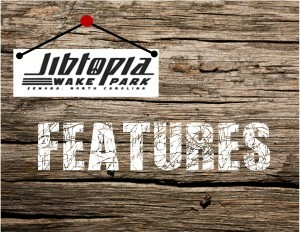 Our features are designed in easy incremental steps that make progress simple AND fun. 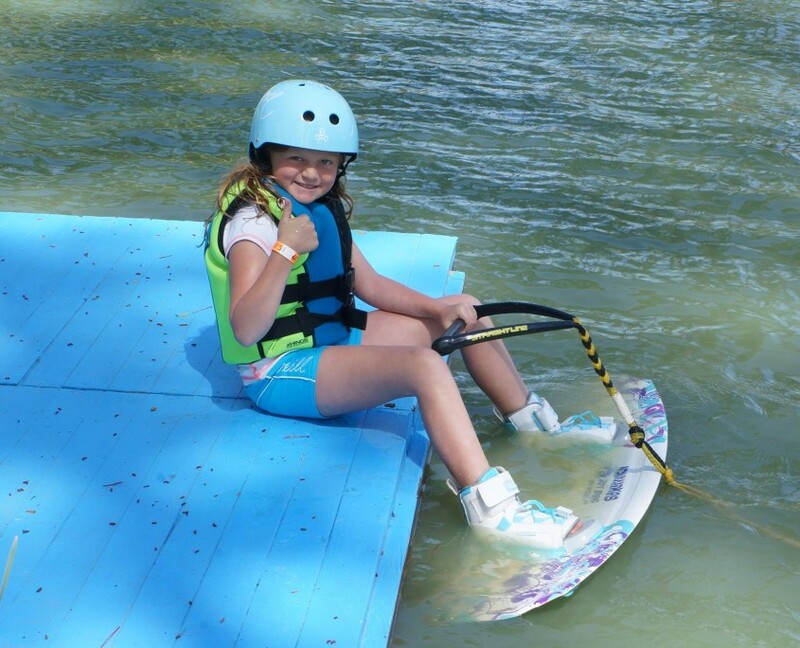 We have a 3 part learning system that helps riders improve quickly with smiles on their faces. 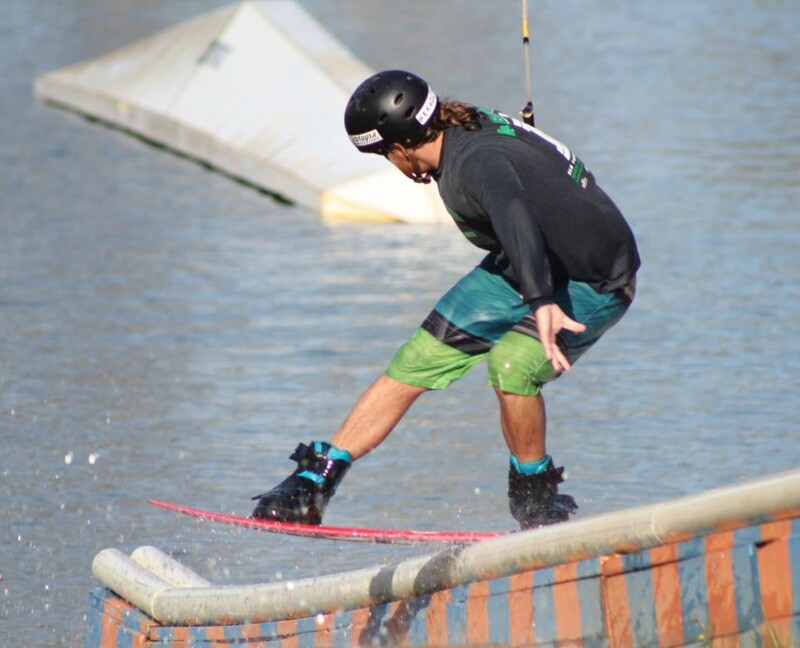 Are you ready to take your wakeboard skills to the next level? 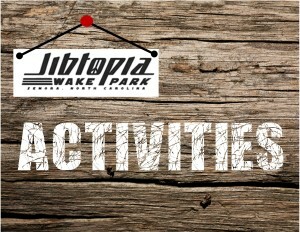 We have clinics, on-site instruction and loads of information about our skill based features. 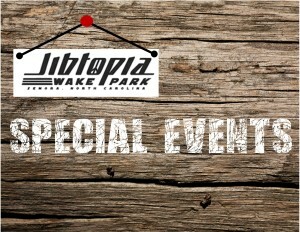 Jibtopia Wake Park boasts a massive variety of features, amazing events, reasonable rates and is convenient to many areas of North Carolina and Virginia. 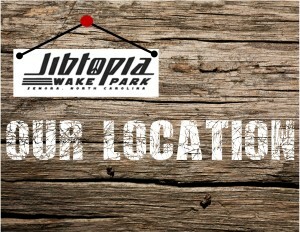 Jibtopia Wake Park is close to Virginia International Raceway and other locations in Virginia. 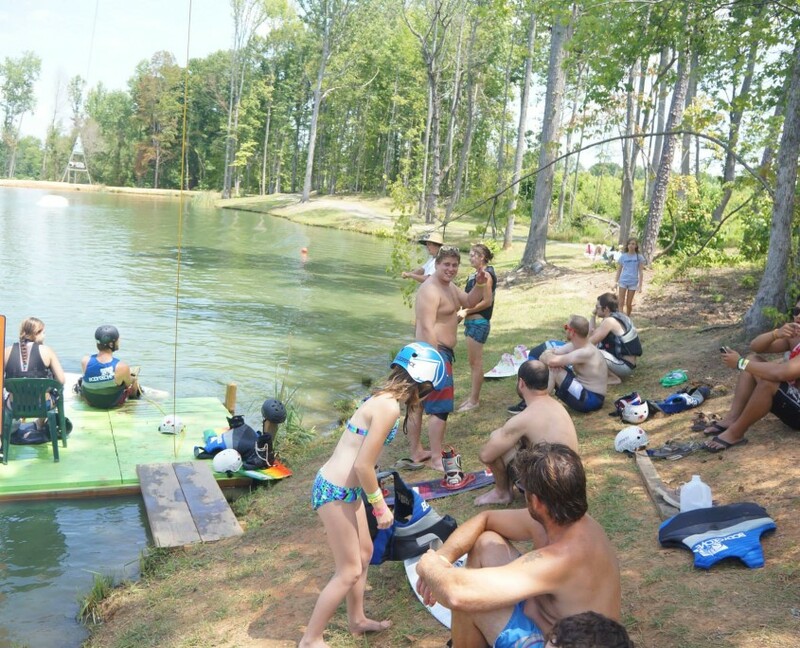 Jibtopia is located in the beautiful countryside of Semora, North Carolina, located north of Raleigh, NC, and Durham, NC, south of Danville, VA, east of Greensboro, NC and west of Rocky Mount, NC. 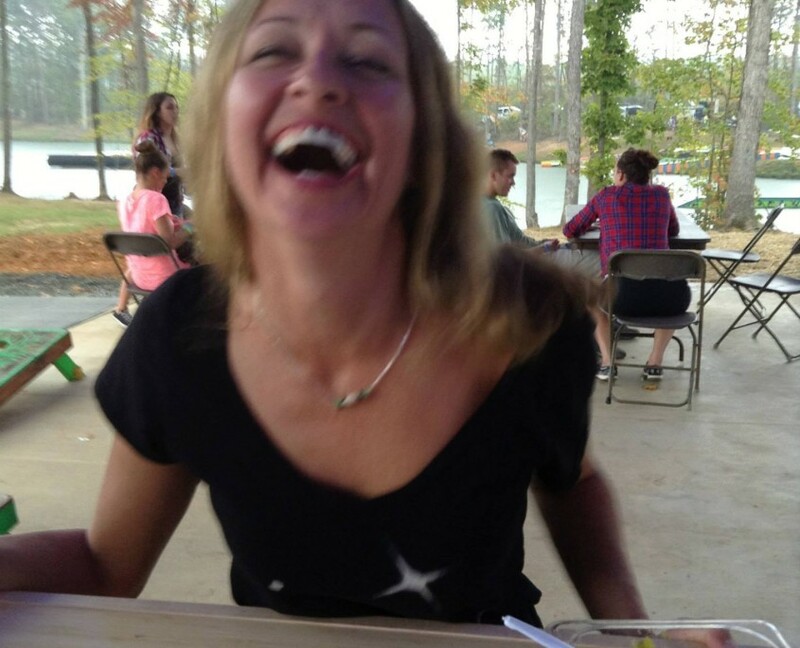 The park is within a 1-hour drive from Raleigh, Durham, Chapel Hill, Greensboro, Henderson, Oxford, Hillsborough, Elon, Burlington, Roxboro, and High Point in North Carolina and Danville, South Boston, Martinsville, and South Hill in Virginia. 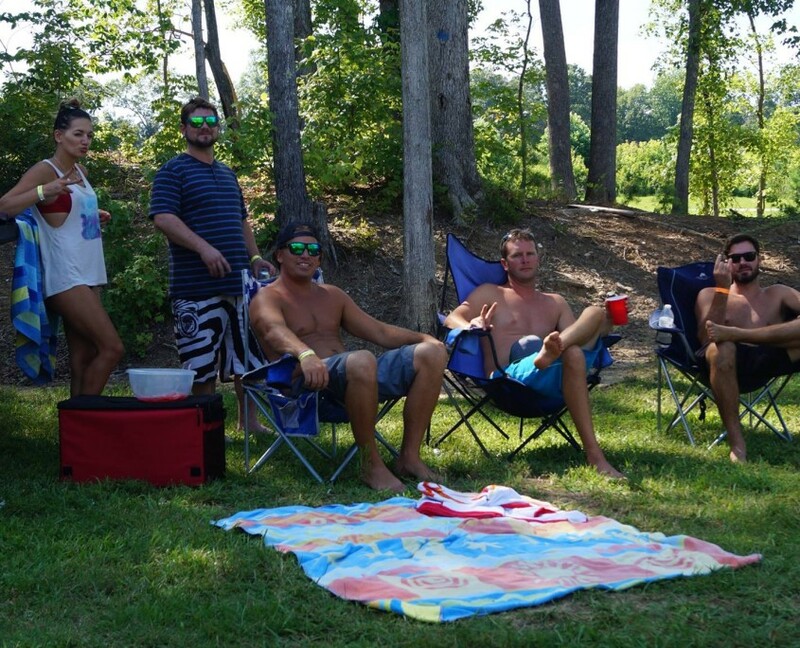 It’s also located within a few miles of Hyco Lake and Virginia International Raceway (VIR). Click here to see the map. 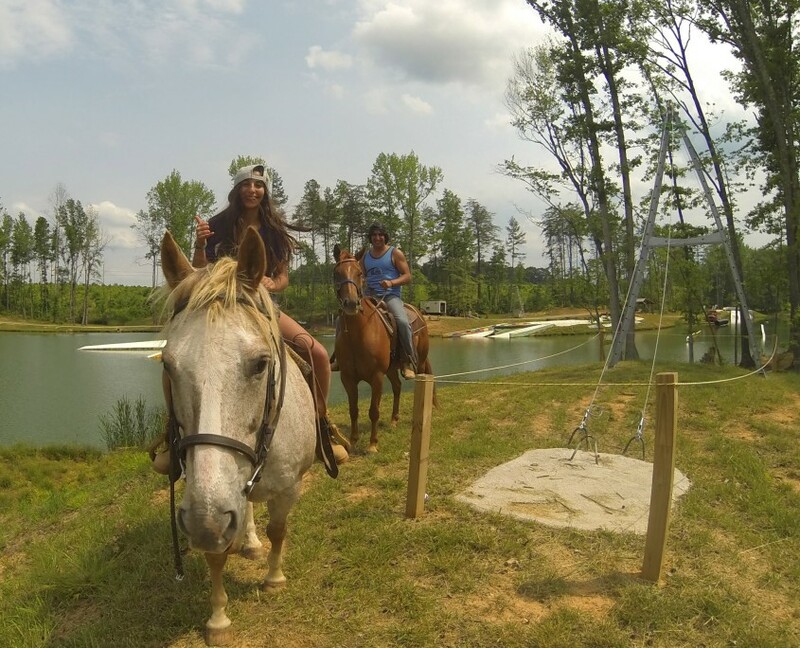 Our other activities include guided horseback trail rides, 10 miles of trails for ATV’s & dirt bikes, beach volleyball, swimming area, camping, on-site cabins for rent, a lake-side bar & grill, and viewing area for friends and family. 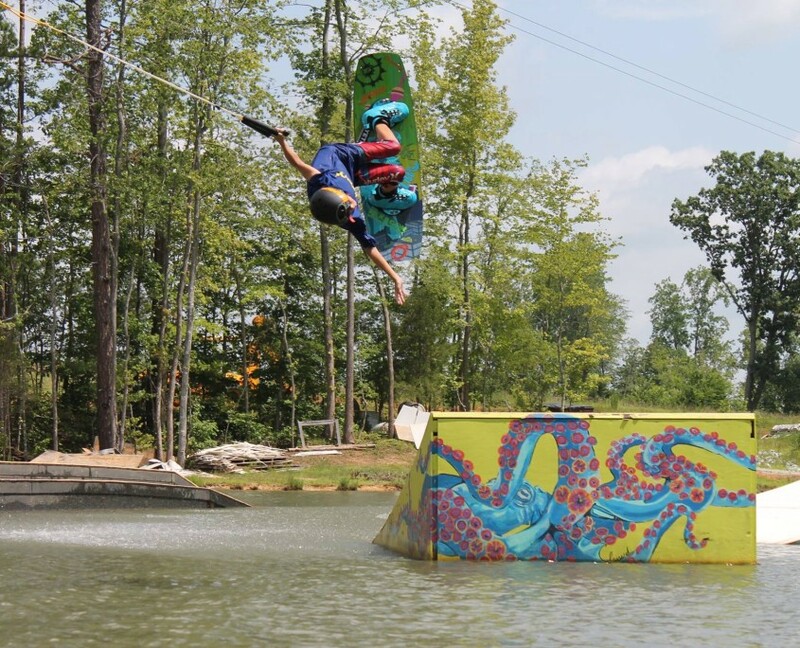 Jibtopia Wake Park offers incredible wakeboarding features that will keep even the most experienced wakeboarder happy and the beginners eager to learn. 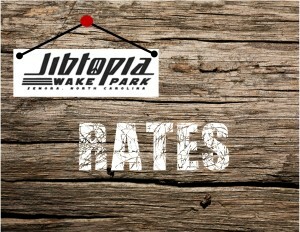 Curious about our rates? 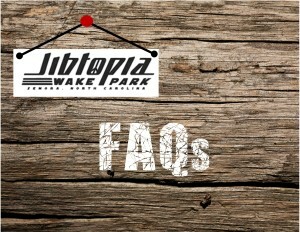 Click here to find information on all of rates, as well as book your tickets in advance for wakeboarding, equipment rentals, horseback riding, all day ATV & dirt bike trails, cabin rentals and camping reservations. 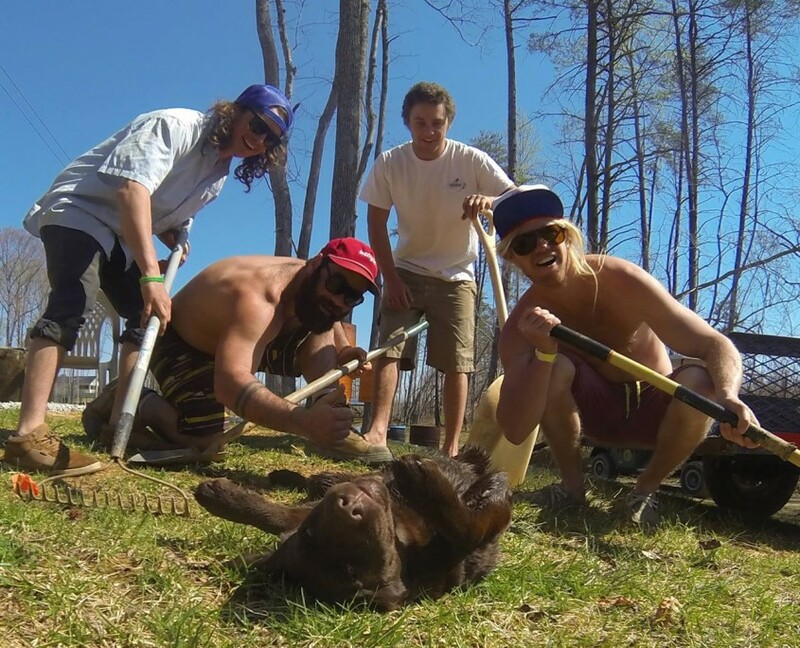 Are you looking for an incredible work experience? 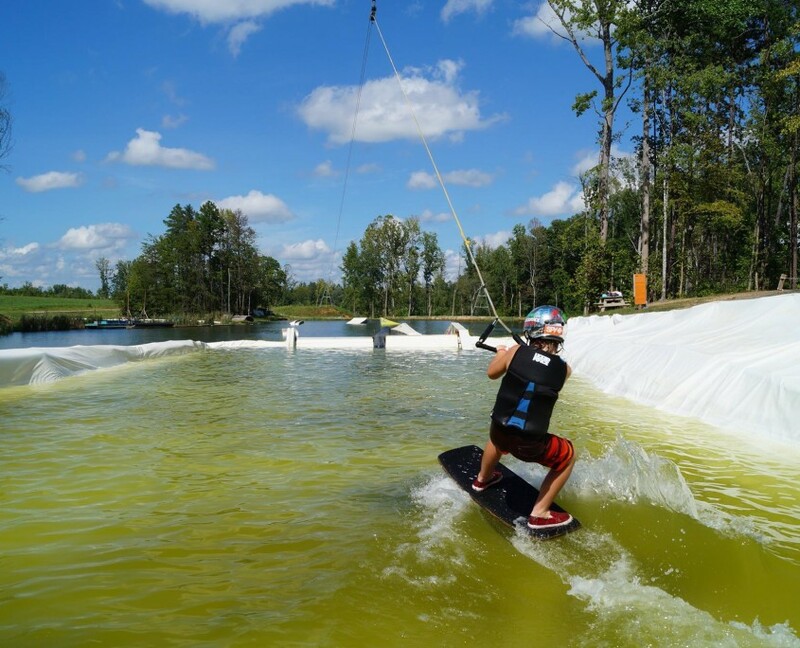 Jibtopia Wake Park offers amazing opportunities for on-site work programs that come complete with room and board, as well as free wakeboarding.